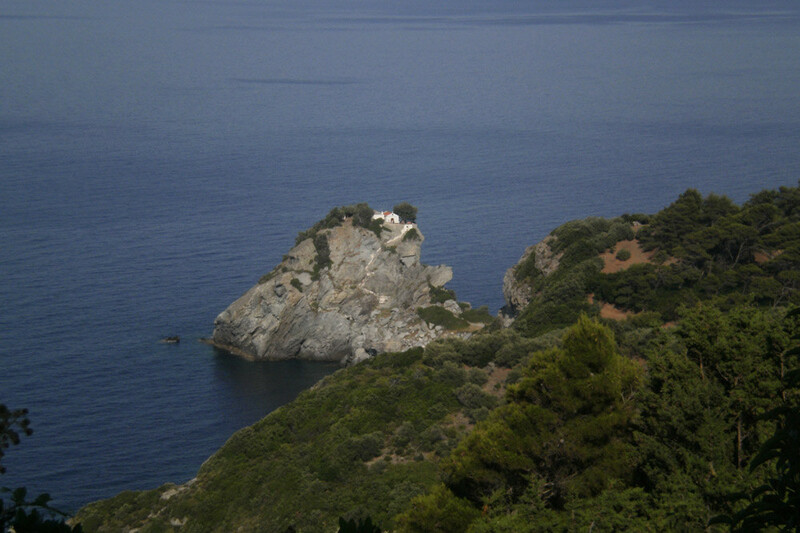 The chapel, in which the marriage of Sky and Sophie took place, is that of Agios Ioannis in Kastri. 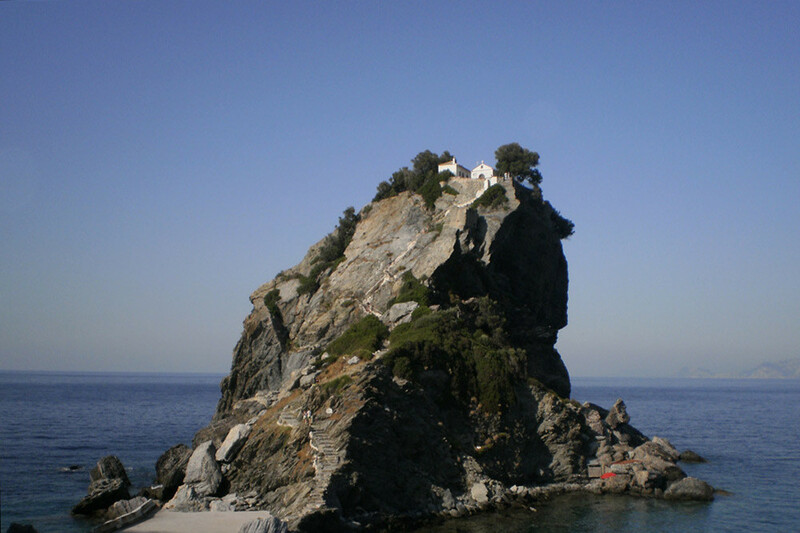 Agios Ioannis is located on the north side of the island, near Glossa village. It is built by the sea, on top of a cliff of 100 meters, with 100 carved steps.